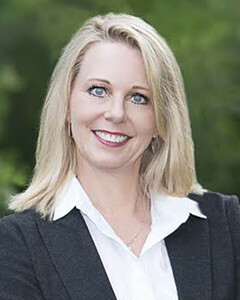 As a top Glenview Realtor & Marketing Expert, I provide exceptional service and connections in the North Shore. My depth of my marketing and advertising experience and my ability to create a compelling marketing plan that attracts buyers is one reason my clients like working with me. I have spent 25 years working with brands like Procter & Gamble, Nabisco and Loyola University Medical Center and I understand consumers and how to attract them. When I create a marketing plan for you I bring a lot of ideas and tactics from marketing all types of products. I understand c market segments and know how buyers think and how to attract the right buyers. I do that through the lens and through the expertise of being an account manager. In addition, I studied interior design at Harrington School of Design so that when you hire me as your broker you are also getting a staging expert. Selling your home is not just pricing it accurately but outshining the competition. Every buyer that sees your home will see a dozen other ones and you want to make sure your home shows better and I can help you with that. Connecting with people is my passion and something I am very good at doing. I am a certified social media expert and one of the most consistent things I hear from my clients is that I am a connector. I know how to present your house to attract a buyer and when I am standing with a buyer, I know how to sell the house and make it exciting for them. I am a firm believer in helping others and giving back to the community, I actively volunteer and serve on boards including Misericordia, JMTF Autism Foundation, Daughters of Ayacucho Educational Fund and Skin of Steel Melanoma Foundation. I donate a portion of each commission to these charities. I have lived in Glenview and the North Shore since 1989 and enjoy tennis, bridge, music, my crazy dogs and spending time with my husband and two sons.